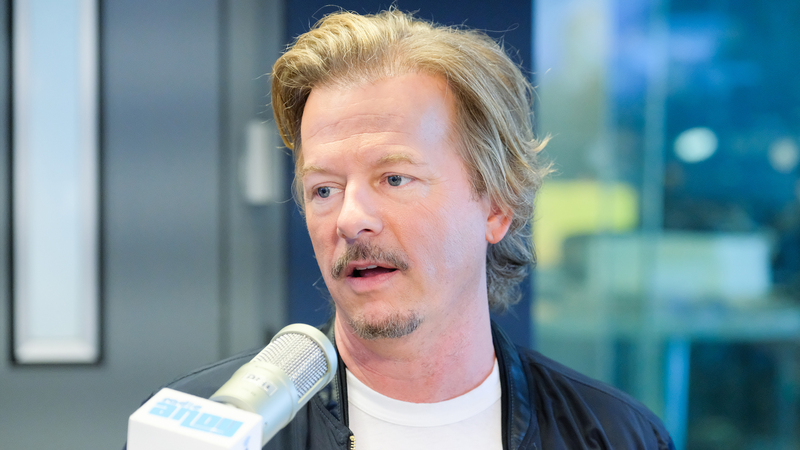 David Spade is keeping his late sister-in-law, fashion designer Kate Spade’s, memory alive by talking about his memories of her. In a touching new interview with Good Morning America on Wednesday, the comedian shared sweet anecdotes about “Katy” and discussed how his family is faring without her. According to David, Kate had an undeniable effect on people — his dates in particular. “It’s funny ‘cause every girl I was with or anyone that knew they would see Katy would dress differently. They would bring their A-game. It was very sweet,” he told GMA with a gentle laugh. Understandably, though, David is still emotional when it comes to the loss of his sister-in-law. “She was such a beautiful, lovely, great spirit that will obviously be missed,” he managed to eke out, warning that he would “start bawling” if they kept discussing her. However, David did offer an update on his family — and he says they’re doing as well as can be expected given the circumstances. “[Our family is doing] as good as we can. It’s been very tough, obviously. She really made an impact,” David told GMA’s Robin Roberts. To say the family has endured a rough year so far would be an understatement. On June 5, Kate died by suicide. She was 55 at the time of her death. Then, the night before her funeral, Kate’s father, Earl “Frank” Brosnahan Jr., died as well. According to the family, “he had been in failing health of late and was heartbroken over the recent death of his beloved daughter.” Kate was laid to rest in Kansas, Missouri, on June 21 with her father following shortly thereafter. If you're considering suicide or fear you may become suicidal, please call the National Suicide Prevention Lifeline 24-7 at 1.800.273.TALK (8255). If you're worried about someone you love, visit SuicidePreventionLifeline.org.